CWC Energy Services Corp. ("CWC") is a publicly traded, premier contract drilling and well servicing company that has been operating in the Western Canadian Sedimentary Basin since 2005. CWC provides a complementary suite of oilfield services including drilling rigs, service rigs, coil tubing, snubbing, and well testing. CWC's common shares trade on the TSX Venture Exchange under the symbol CWC. 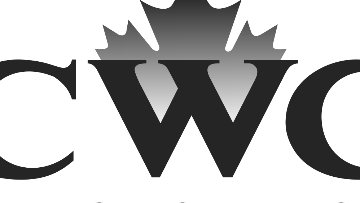 CWC is currently seeking a Controller Well Services based in Sylvan Lake, AB. Reporting to the Corporate Controller and indirectly to the Chief Financial Officer, the Controller Well Services leads the operation of an accounting department including accounts payable, accounts receivable, credit and collections, and general accounting functions. Evaluates and makes recommendations for change to reporting and other control functions. Develops and implements accounting policies, systems and procedures. Trains and mentors accounting personnel. Prepares operational reports and summaries and provides additional analysis as requested by the management team. Prepares and coordinates the operational budgeting process. Must have 5+ years experience at a supervisory level, a CPA accounting designation is required. Day to day operations of revenue cycle including invoicing, accounts receivable and collections. Day to day operations of expenditure cycle including operating costs, accounts payable and capital additions. Month end, quarter end and annual close for the Well Services Division of CWC - which includes our Service Rig, Coil Tubing, Swabbing and Boiler divisions. Review of monthend results with VP's of Operations and Regional Area Managers. Performance of analytical review of operating results as compared to budget, investigation of variances, provision of insights into discrepancies, and recommendations for operational improvements based on financial analysis. Oversight of day to day treasury operations, including monthly bank reconciliations and cash / debt management. Please send your resume to chadkuechle@cwcenergyservices.com. Only candidates selected for interviews will be contacted.